At first, you probably were thinking of getting just a roof over your head. Then it was a hassle! Then it came to a period when you could sit down and think about having a custom built home. The custom built home was to be a culmination of your success. Looking at the progress you could actually take a sit and pat yourself on the back for a job well done. Or would you like to call someone to do the honor? Getting your custom built luxurious home in a beautiful neighborhood is certainly a dream come true! Owning a home is a dream that many of us chase for many years. Others chase it for a lifetime and die while chasing it! Well one great rapper put it aptly, “Get Rich or Die Trying!” We all chase different dreams but owning a home is shared by all. And we chase this dream till we actualize it or just die while trying. Great then if you are about to get your dream home completed. Let others play catch up! What you need to do is to make the home look distinct. It should tell your story. It should portray your achievements in life. The monies in your bank accounts should be evident in the home. The home must be a statement making luxurious home. A luxurious floor design is an all important component of your luxurious home. The home cannot be said to be luxurious if you do not have a luxurious floor design. The Bianco Carrara Paradise Polished marble floor design is exactly the piece that is needed in your dream home. 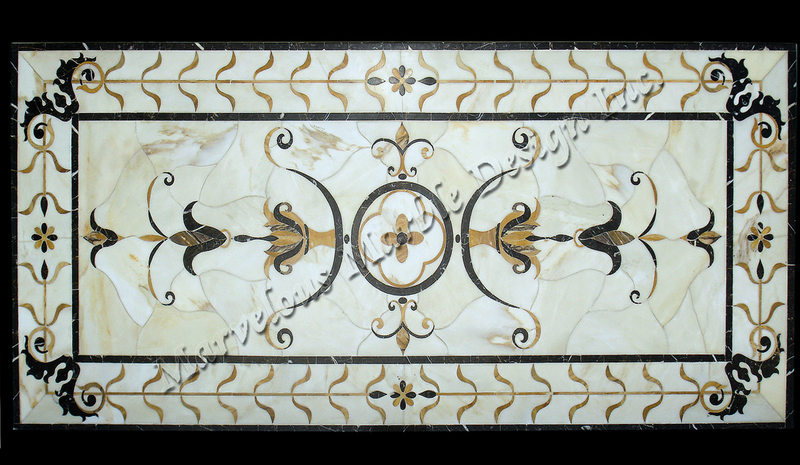 This gorgeous marble floor design will be just perfect for enhancing the beauty in your home! Skillfully carved out of pure Bianco Carrara marble the floor design’s look is enhanced by the beautiful red and white hues added on to the naturally white stone. The theme is repeated through the entire piece. 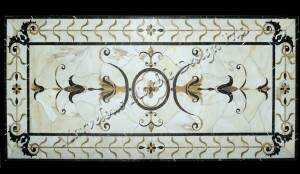 At the edge the stone floor design is accentuated with exquisite golden brown Bianco Paonazzetto marble pieces. This beautiful floor design for a luxury interior will offer your custom built home with a perfect finish. The fantastic floor design can be installed in the dinning room, the bar, or even in the living room. This beautiful Bianco Carrara floor design can be produced in a combination of colors that work best for you. To learn more about the Bianco Carrara Paradise Marble floor design please visit Marvelous Marble Design Inc.
Posted 4 years, 10 months ago at 9:21 am.